Moving to the new location – Home removal or office removal or just rearranging the furniture or moving it to another room. We are one of the best moving companies to provide Two movers and a truck Melbourne services for moving and delivery requirements in Australia. We provide our clients with well trained professional movers and modern trucks provided with all moving equipment for safe move. CBD Movers Two movers and a truck melbourne services are suitable for office furniture removals, home furniture removals, piano removals, pool table removals, Dismantling and re-erecting furniture, industrial machinery, computers, refrigerators any other electrical equipment and medical equipment. We also deliver any online purchase you have made. We are helping families and businesses in quick and successful relocation of their belongings with our two movers and a truck Melbourne services. We have years of experience in home and office interstate moving. Our well equipped modern trucks and skilled staff are always been our assets. Our competitive rates and quality of work made us one of the best moving service providers in the nation. Highly-trained staff and a network of offices in Melbourne, Sydney, Perth, Brisbane, and Adelaide. Competitive rates, in-time service and delivery. Industrial machinery, computers, refrigerators any other electrical equipment and medical equipment. We also deliver any online purchase you have made. 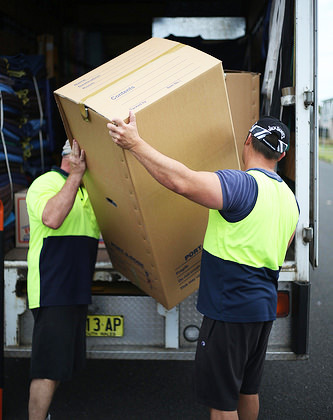 Just call us at 1300 223 668, we will provide you hassle free, smooth moving experience.